What is a "Qualified Income Trust" (QIT) and How Do I Get One? A Qualified Income Trust (QIT) is an irrevocable Trust that reduces a Medicaid applicant’s income but has no effect on assets. When the applicant’s “gross” income exceeds $2,199.00 (2015 income cap limit), he or she is over the income limit and will not qualify for benefits without a QIT. Income deposited into a QIT owned checking account changes available (countable) income into unavailable (non-countable) income. The Qualified Income Trust account must be funded (a deposit made) every month that Medicaid benefits are needed. Failure to fund the QIT and reduce the applicant’s income below the limit will result in the loss of Medicaid benefits for that month. We draft the Qualified Income Trust document. The QIT will later be reviewed by the legal department of the Florida Department of Children and Families (DCF) to verify that it meets their guidelines. Some required Trust provisions include limitations on payments from the Income Trust and a Medicaid lien on the trust at the applicant’s death. 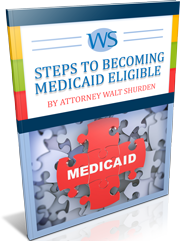 The Medicaid applicant can establish the QIT by signing the trust document. If the applicant is unable to sign then his or her spouse may sign. Alternatively, an Agent appointed under a Durable Power of Attorney may sign if the Durable Power of Attorney is properly drafted. Whether the Durable Power of Attorney is properly drafted depends on when it was signed and the Power of Attorney Statute in effect at that time. If there is neither a spouse nor an Agent under a power of attorney then court approval is required to establish the QIT. A family member of the applicant usually volunteers to serve as Trustee of the Qualified Income Trust. There is no compensation. They assume a duty to see that the QIT is administered correctly. We provide instructions to the trustee about the QIT procedure and how to satisfy the duties of a trustee. The Trustee opens a new checking account owned by the QIT money is then transferred from the applicant’s regular checking account into the new QIT account each month that Medicaid benefits are needed. Enough money should be funded into the Qualified Income Trust to reduce the Medicaid applicant’s available income to an amount that is below the income cap of $2,199.00. We recommend that all income continue to be deposited into the Medicaid applicant’s regular bank account. At this point in the monthly process the income is still considered available income by the Florida Department of Children and Families (DCF). To maintain the Medicaid recipients’ eligibility, the Trustee of the QIT is responsible for (1) Properly funding the QIT bank account so that the after each month’s payments there is a minimal remaining balance; (2) Making only authorized disbursements such as (a) payments of patient responsibility to a nursing or assisted living facility, (b) payments to the applicant for their personal needs allowance (currently $105 per month), and (c) payments to the spouse of the applicant if the Department of Children and Families (DCF) has determined an allowance for spousal diversion; and (3) Keeping copies of the bank statements for submission to the DCF at the annual review. The Trustee should close the account and send the balance of the Trust funds to the State of Florida. In the unlikely event that the Qualified Income Trust has a large balance it may be necessary to write to the State to determine whether the Medicaid lien is less than the remaining balance in the QIT. After payment of the State’s claim, distribute the remaining balance of the QIT account, if any, to the beneficiary named in the QIT document and close the account.